This topic has 2 replies, 3 voices, and was last updated 1 year ago by wheelsee. 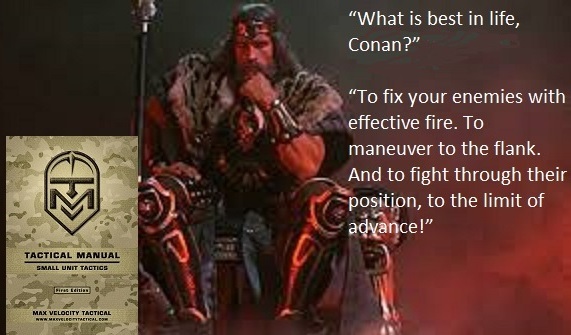 Conan Knows: Get the word on MVT Tactical Training via the new Tactical Manual. HERE. 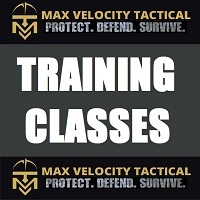 I first heard about Max Velocity Tactical in 2012 or 2013. I started reading the old blog and recalled some of the first class reviews or After Action Reports. All of the review were positive and that peaked my interest. I am an 18 year State Trooper so I am a bit skeptical of most things in life. 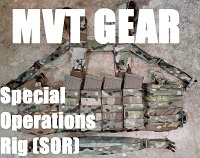 I kept reading the bog and enjoyed the detailed post Max would make about how to set up a battle belt or a ruck. Then I bought Max’s fiction books and the manual ‘Contact!’ and enjoyed each. In December of 2016 I saw on the blog Max was coming to Kentucky to teach. I live in an adjoining state and this was a closer drive than Romney, WV. I contacted a work mate and we decided to attend CTT which is now HEAT 1. I attended the CTT/HEAT 1 class in Kentucky 2017 in October. 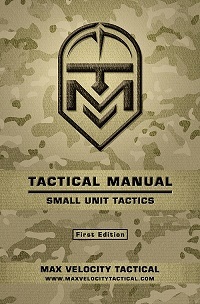 I had a great time and it was a real eye opener in regards to tactical movements. I thought because I had had some elementary CQB stuff at work I was good to go. Not the case at all. I was introduced to one rifle malfunction drill I had never been shown. All of the various tactical team movements were new to me. Class started at 0800 and was over at 1600 each day. Everything in class was done with safety in mind and Max was very professional and answered all questions. I was hooked by the class I wanted more. In December of 2017 Max came up with the Cabin Club program. It was basically a buy in for a fee and you could attend all future classes at Romney for half price. By this time I knew I wanted to take more classes and was already planning for 2018. I didn’t have the cash for the program but I wanted in. I sold a rifle and pistol and had the cash to buy in. I was excited and I was set to take all the classes and have my kids attend when they were old enough. The classes teach many things but most people overlook: discipline, team building, responsibility and attention to detail. Most people are focused on the tactics of the class and miss the other aspects listed above which I think are perfect for teens. Plus, you get bonding time with your kids or friends!!!!! When the 2018 schedule was posted for the first part of the year, I had already been working on guys to go to class. You need a team of four when the zombies come right? I got Frank and Ron to sign up for HEAT 1 in March of 2018 and I scheduled HEAT 2 in April 2018. I was so excited as I had three guys and myself to make four who were all going to attend multiple classes in the future. What great fun. So March 2018 rolls around and I attend HEAT 1 for the second time in Romney. It is true that so much knowledge is passed in class you need to retake classes. I thought at first this was a marketing gimmick. It is not, you get so much information you have never heard or read and didn’t fully understand. You must attend again. I can verify this is true. My group and I arrived on Wednesday night and stayed at the South Branch Inn. It was a nice hotel and close to several restaurants. We had a positive experience at the hotel. Class started at 0730 each day and ended around 1600. The first two days were on the square range. Safety from the first moment is preached and reinforced. We worked on loading, malfunctions, shooting positions and various movements over the first two days. 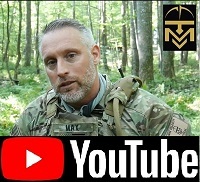 The third and fourth day we moved to two range areas that are wooded and have multiple pop up targets and we worked up to running various tactical movements live fire. Everything in class is talked about, rehearsed and then live under supervision. It is a very safe environment and every instruction is very clear by Max and Scott (‘First Sergeant’). I did participate in the night vision class that is offered in you have night vision. Scott showed us a quick way to zero our lasers. I had never heard of it but it was effective and very quick. During the night class we worked on shooting and progressed to a simulated raid. Great fun!!!!! 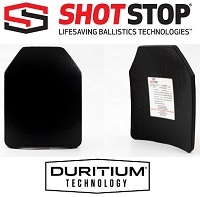 When you go to class you need to have knee pads, a bunch of loaded magazines and equipment that works. Make sure your gun is zeroed in and you put lube on the rifle. Several rifles went down because they were dry. Scott gave a good class over rifle care. Because of the class I know of two issues that were corrected by students; a set of worn gas rings and a bad extractor. I almost forgot to mention the quality of people in my class last week. We had a Doctor, Pharmacist, three small business owners, Police Officer, State Trooper, Fireman and a supervisor at a factory. Quality experience and am sitting here waiting on HEAT 2 next week. Hope to see you then!! Dutch Knows. How did he defeat the Predator? 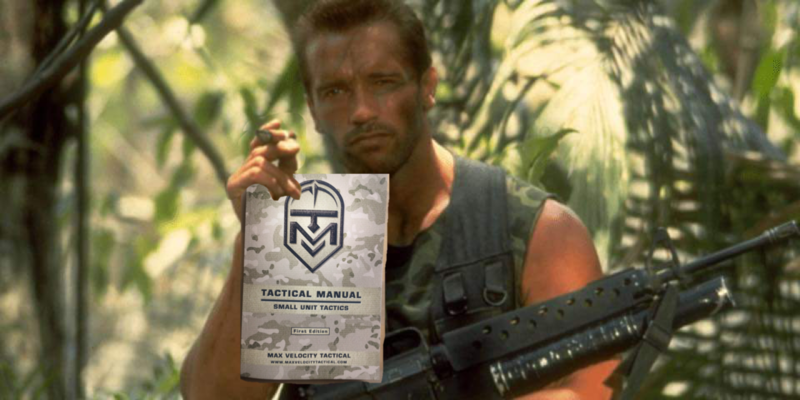 MVT Tactical Manual. HERE. Great write up about the class and lessons learned and you will learn even more when you take HEAT 2 but the most important lesson which have learned is that this training is not one and done; what Max teaches and the class progression builds on the class before. Congratulations on starting to pull a team together it will make continuing to practice what you learned so much easier when you home.